Today: Beat the winter blues with a blast of bright, sunny citrus. In New York, we are experiencing weather the forecasters describe as a “wintry mix.” What that really means is that there is slush falling from the sky making sidewalks slippery -- and the sky is looking decidedly gray. It’s not exactly my favorite weather, but the chilly temperatures are a good excuse to eat lots of delicious, slow-braised foods and sunny citrus-flavored things. There are a ton of fancy citrus fruits this time of year that I love cooking with, but sometimes a classic recipe is the best choice for comfort baking. 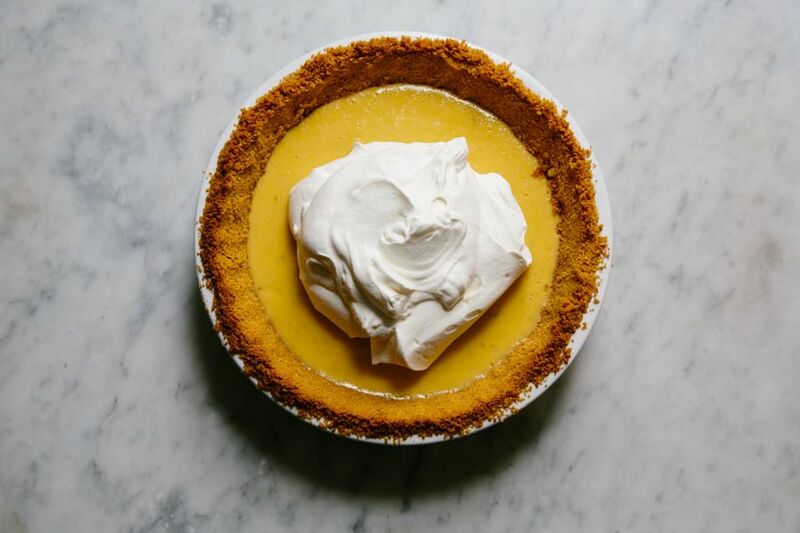 More: Bring more sunshine into your kitchen with these 10 citrus desserts. 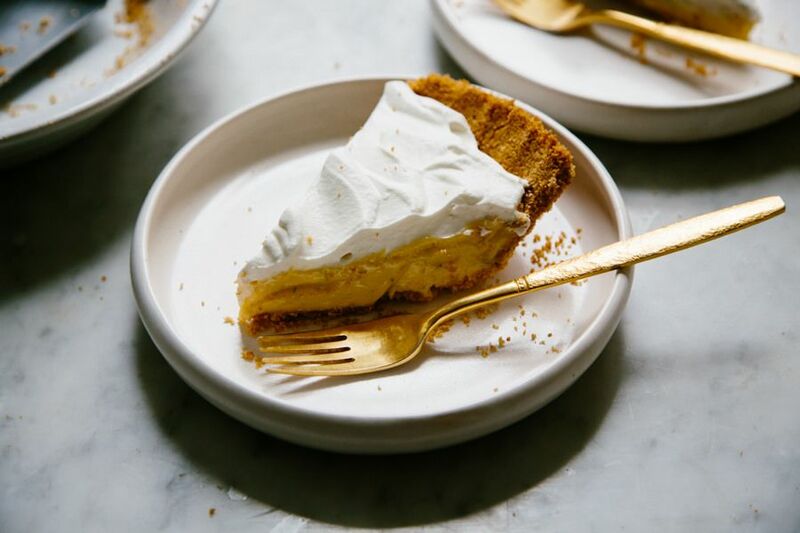 This Key Lime Pie from Cook’s Illustrated is a winter favorite. 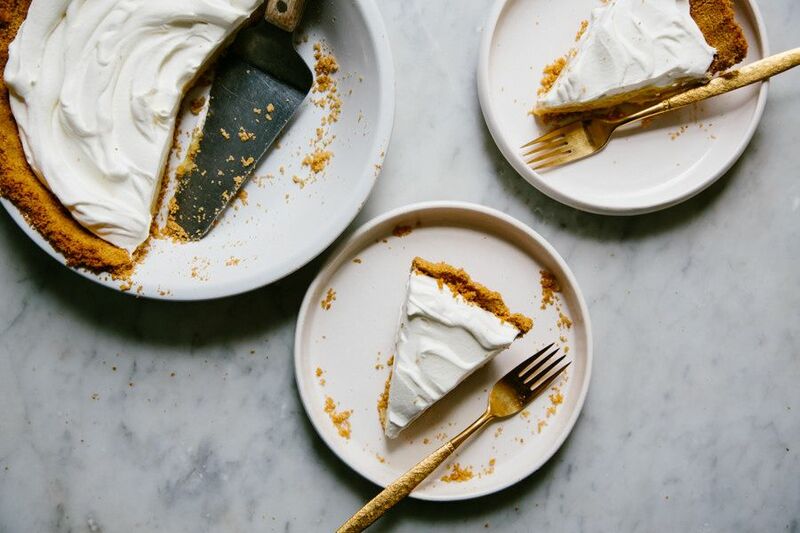 The crust is an easy, press-in-the-pan sort of thing made from crushed graham crackers, butter, and sugar. 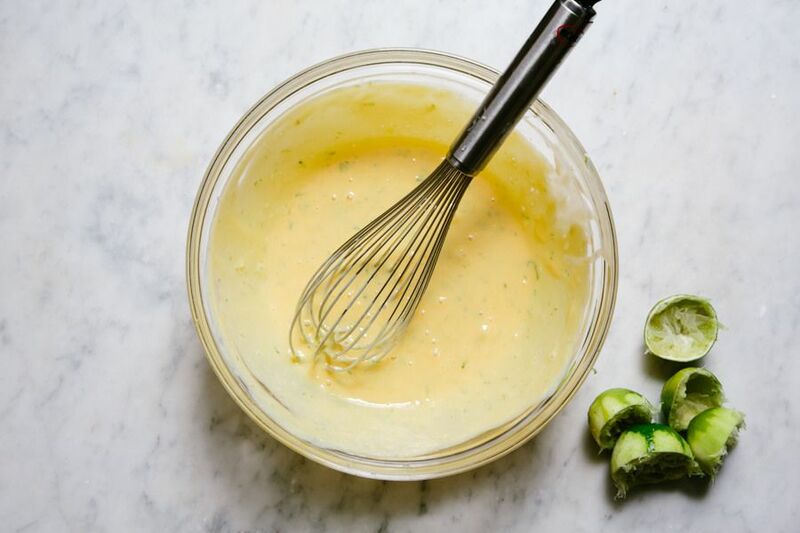 The filling is just 4 ingredients, puckery from a healthy dose of lime juice and zest and undeniably rich and creamy thanks to the egg yolks and sweetened condensed milk. I like to top the pie with a sweep of unsweetened whipped cream, but feel free to sweeten it a bit with sugar if that’s more your style. Oh, and even though this pie is calls for key limes, it’s also great with regular ol’ grocery store limes or lemons. Thoroughly whisk all of the filling ingredients together, and set aside to thicken while you prepare the crust. 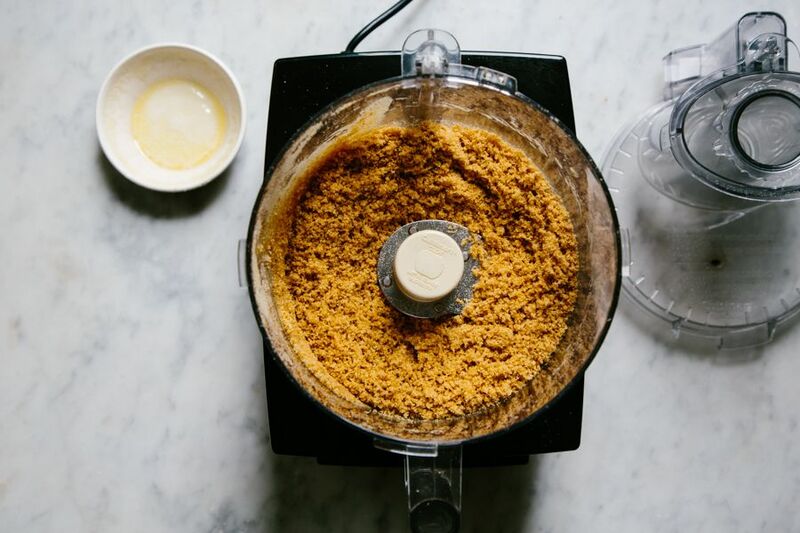 Process the graham crackers in a food processor to fine crumbs. Add the sugar and salt, and pulse to combine. Last, add in the butter and pulse until the mixture resembles wet sand. Press the mixture into a 9-inch pie dish (metal works best here) evenly on the bottom and up the sides. I like to use a dry measuring cup to help this along. Bake the crust until it is light golden brown and fragrant, about 10-12 minutes. Cool the crust slightly, then give the prepared filling a final mix, and pour it into the pie pan. Turn the oven down to 325º F, and bake the pie until just set, but slightly wiggly in the center, 15 to 17 minutes. Cool the pie to room temperature, then set it in the fridge to chill completely, at least 3 hours or overnight. Just before serving, whip the cream to soft peaks, and spread it on top of the pie. Note: Boo-hoo on your whipped cream. Read a book and chill some whipped HEAVY WHIPPING CREAM! Note 2: If you have a recipe for a sweet flour crust, you'll be in ancient (sort of) heaven. As for the recipe posted here. It's simple, to the point and nearly matches my own family concoction. Play with the crust as you will but please follow the filling directions as specified to enjoy a beautifully smooth finish. - Feel free to use normal limes (todays key limes are too harsh and would require more sugar to balance). Cheers to the poster! You've affirmed a family concoction and reminded me how much I enjoy this pie with fresh (Florida caught) fish tacos. 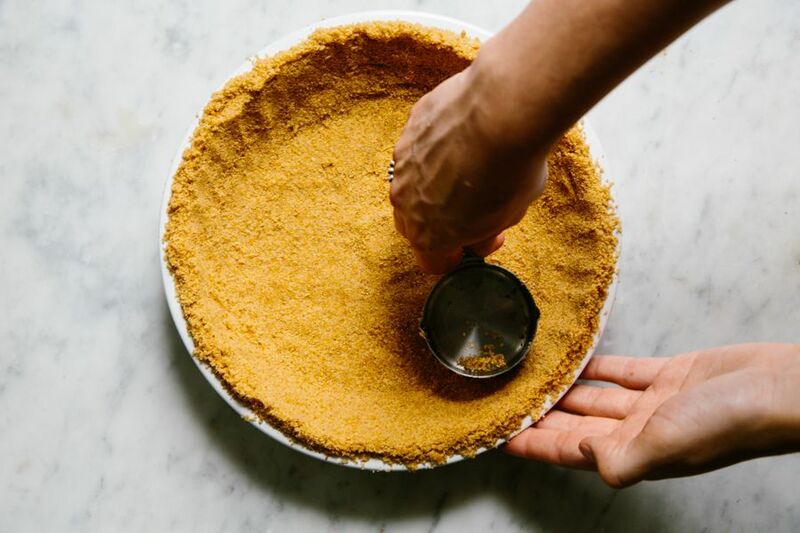 Original Key West Lime Pie was NEVER made with nasty gram cracker crust. That was a product of a lazy cook. The original pie crust are the same as when making an apple pie, the flour variety. When I lived in South Florida, a local fish joint made their crust with ground almonds instead of graham crackers because someone on the fish market side of the operation had celiac. Now, I never use anything else because it's soooo delicious with the almonds—a perfect counterpoint. BTW Trena: If you're talking about Calamansi, it's nearer in taste to Key limes than Persian limes are and should make a good substitute. Thank you Antonia AT! Yes, they are Calamansi, still learning, I'll have to give them a try. If you put meringue on the top, put it in the freezer before you do. Making pies is like making love -- almost. So many differnt ways to do it, and all are satisfying :) I always spread meringue on hot filling (as per recipe for Lemon Meringue Pie in the Cook's Illustrated issue of Nov./Dec. 1994). What is also important is that the meringue makes contact with the crust. This anchors it so that it doesn't shrink. By the way, if anyone still has their early Cook's Illustrated mags, the Key Lime Pie recipe is in the Mar./Apr. 1997 issue. True, but not everyone has access to Key Limes. My supermarket has them only once a year. I don't think I could use anything that comes in a bottle--- I would rather make it with Persian Lines and suffer the milder flavor. Actually I find meringue too sweet...Real whipped cream with minimal sugar is my favorite topping. I will have to agree with rreid01 -- if it's not made with key limes, it's not key lime pie. Key limes are a lot more puckery and really make this pie unique. Persian limes have a milder flavor. I always top my key lime pie with meringue, since this recipe leaves one with leftover egg whites otherwise. Ths meringue adds a nice contrast to the rich filling. I use the CI recipe too -- it's the gold standard. Probably ought to call this lime pie rather than key lime pie since you are using persian limes instead of key limes. There is quite a bit of difference between the two, and frankly the more sour key limes is what makes key lime pie special. Fresh key limes aren't that hard to find, and and you can always find bottled key lime juice. The original recipe called for meringue rather than whipped cream. What do you thing of meringue with the leftover whites? Also, I got 1/2 cup juice from two large limes. Nice to know how many to zest. freeze juice in ice cube tray, pop out when you need lime flavor! I followed the recipe exactly, it was delicious and easy. The hardest part was whisking the whipping cream. I usually cheat and get Redi-Whip. This was way better. This would also be great with the saltine crust from Bill Smith's Atlantic Beach Pie! This recipe needs to be made! Try this also with meyer lemon and a gingersnap crust - also delish!!! Great dessert recipe Yossy - such a classic! Yossy - Thank you for the detailed recipe and photos! 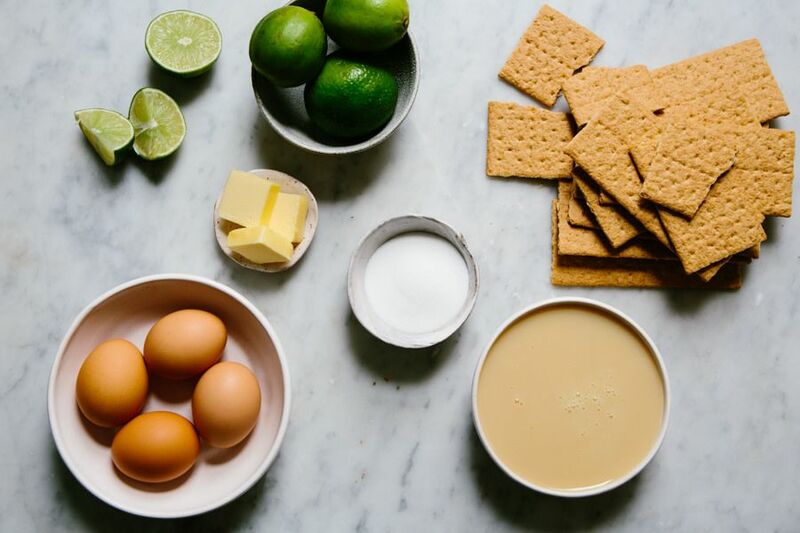 Key lime pie is one of my favourites and I've saved your version to my recipe collection. I am currently living in Southeast Asia and was curious about your opinion on using local limes in this recipe, I believe they're called mukrat in English? I say, go for it! Unless they are sweet like an orange or tangerine, they will work great in this recipe.